There can’t have been have been many abandoned children on the streets of Boston and Taunton during the decade that Thomas Coram spent in Massachusetts, because when he eventually returned to London their presence and number shocked and outraged him. They were, in his words, ‘left to die on dunghills’. Coram, from humble Devon stock, had gone to sea at the age of eleven, and was later apprenticed to a Thames shipwright. He rose to wealth and prominence through his work in the American colonies and the merchant marine, becoming the epitome of the intelligent, energetic self-made man at a time when London was the largest and richest city in the Western world. Coram resolved to do something about the destitution and suffering he witnessed in his adopted city. After fifteen years of campaigning he received a charter from George II in 1739 to establish the Foundling Hospital, the first institution of its kind in Britain. The Foundling Hospital opened in Hatton Garden in 1741 and moved to a new building in Lamb’s Conduit Fields in 1745. Coram was a persuasive fundraiser, and leading artistic figures such as Hogarth and Handel were among those who raised money for the hospital (Hogarth also designed the hospital’s crest and uniforms). Though Coram’s project was a benevolent one, there was little sentimentality and much tough love in 18th century philanthropy. One of the reasons that official approval was so long in coming was the concern that such an institution would encourage sexual fecklessness and moral irresponsibility in the lower classes. In reality, the foundlings were almost always the children of single mothers in dire circumstances, though some impoverished couples also chose this path in the hope of a better life for their children. From the start the number of babies presented for admission was far greater than the twenty places available each month. A ballot system was introduced early on. Mothers drew a ball from a bag: a white ball meant admission, a black ball refusal. Those babies that did gain entry were baptised and given new names to mark their separation from their mothers and their fresh start in life. But there was also an assumption that at some point mothers might want to reclaim their children. It seems that in the early years of the hospital this method of identification was seen as insufficient. Perhaps there were not enough varieties of fabric; perhaps it was felt that, to use to the modern term, two-factor authentication was more certain. Whatever the reason, mothers were encouraged to leave an identifying object with their child. These tokens could be anything from a piece of jewellery to a playing card, though coins and medallions, sometimes modified with a personal inscription, were the commonest items. The tokens were sealed up with the swatch in the folded admission billet and stored. The practice was discontinued in the 1790s when a system of paper receipts was introduced, by which time some 18,000 tokens were stored in the hospital’s archive. During the 19th century some of the tokens were put on public display for the first time. To the chagrin of later historians and researchers, no record was kept of the admission billets these tokens were drawn from and the links to particular children were severed. One story that can be traced is that of Charles Bender, whose mother Sarah took him to the hospital in the winter of 1767. She left a piece of patchwork with him, on which she had embroidered a red heart. Charles was re-named Benjamin Twirl and became a child of the institution. But eight years later Sarah returned with the other half of the patchwork and claimed her boy. The fabric and the family were rejoined. Charles/Benjamin was the exception. Few of the children that survived infancy – mortality rates remained high, even after admission – ever saw their mothers again. Of the 16,282 children admitted between 1741 and 1760, only 152 were reclaimed. 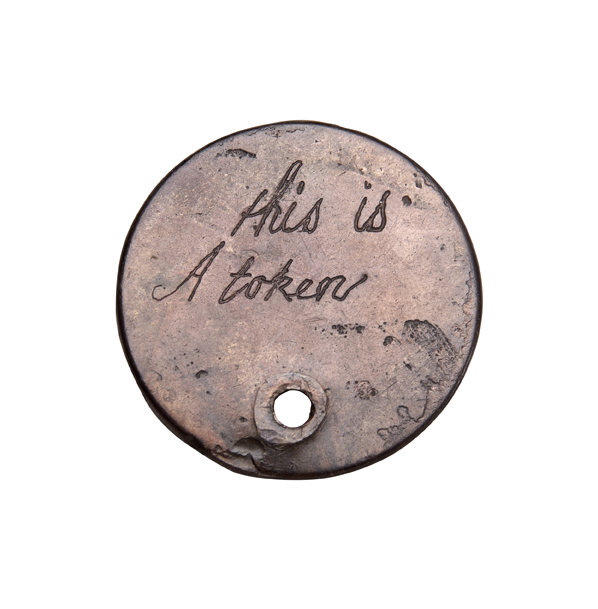 How many astonishing, heartbreaking tales must lie hidden behind the foundling tokens. And yet I don’t know of any contemporary or modern novel that has used the tokens as a dramatic device (though the eponymous heroine of Jacqueline Wilson’s children’s novel Hetty Feather is raised at the Foundling Hospital). It’s easy enough to imagine a story in which a young man or woman leaves the hospital, taking their token with them, and resolves to track down their mother. What adventures befall them, what hope and despair…well, you get the idea. 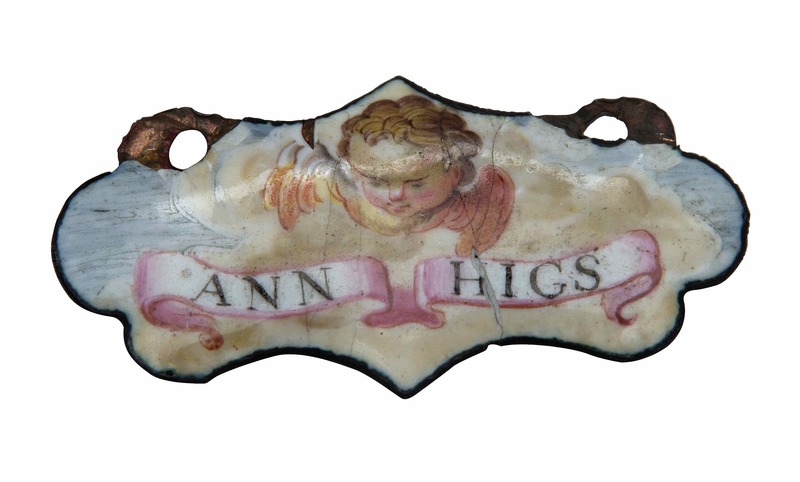 A selection of the tokens is usually on display in the Foundling Museum in Bloomsbury. The building was once the hospital governor’s house, and here you can see the Coram Foundation’s art collection, with paintings by Reynolds and Gainsborough, as well as Hogarth’s portrait of Thomas Coram. The museum also holds the Gerald Coke Handel Collection, a huge archive relating to the composer. 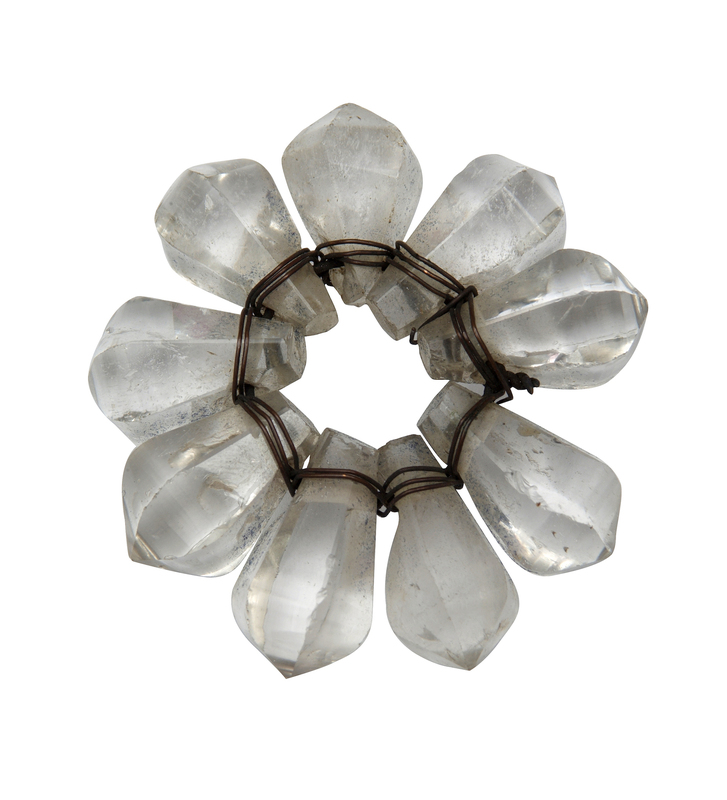 But there is nothing so absorbing nor so moving as the foundling tokens, those symbols of love and loss.